The Canada Border Services Agency is making sure religious dietary concerns are respected when asylum seekers are taken into custody after walking into Canada and spent about $770,000 on meals in the 2017-18 fiscal year. When an asylum seeker crossed the border into Manitoba in February in the dead of winter, border guards gave him a bowl of macaroni and cheese. The man was searched, photographed, and given blankets while he waited in a cell at the Emerson, Man., border. 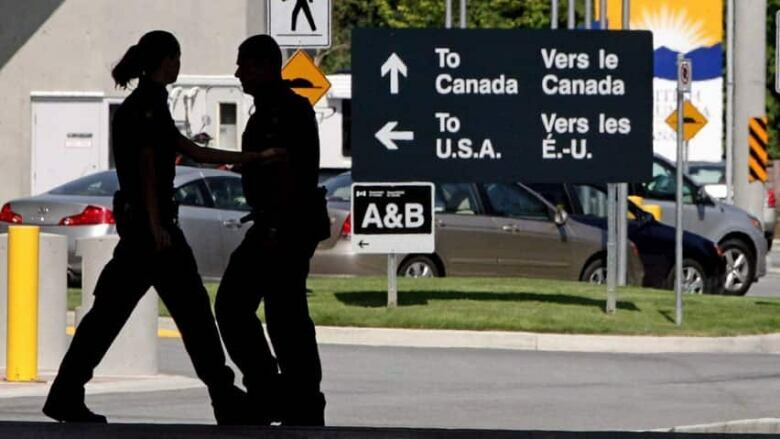 A CBSA spokesperson said it provides sandwiches, juice boxes, granola bars and frozen meals when the time to process an asylum seeker is "extensive." The agency has a number of options on the menu, including vegetarian selections. The Canada Border Services Agency has been making sure religious dietary concerns are respected and has been keeping frozen dinners stocked up, according to documents CBC News obtained under the Access to Information Act. Those meals have come at a high cost. In the 2017-18 fiscal year, approximately $770,500 was spent on food and drinks given to asylum seekers who walked into Canada. Most recent numbers from the federal government show 10,744 asylum seekers have been apprehended by the RCMP for crossing between points of entry in the first six months of this year. The food in Canada is much better than what they received while detained in the U.S., some asylum seekers have told CBC News. "I didn't expect something like that because I was thinking I'm going to face the same problems that I face in America," said Jalalideen Halid, an asylum seeker who walked into Manitoba in 2016. 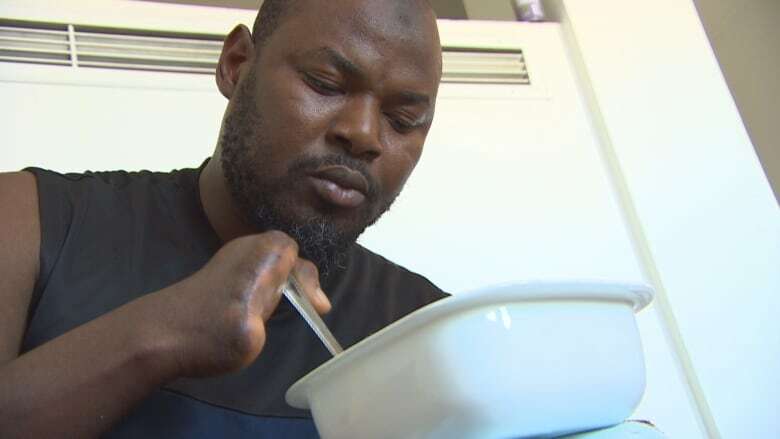 He said he and other asylum seekers were fed expired food that made them sick while in the U.S.
"I can say the food over there is very, very disgusting food," said Razak Iyal, who lost all his fingers to frostbite crossing into Manitoba in the dead of winter in 2016. Iyal spent nearly two years in U.S. detention while he waited for a judge to hear his case for asylum and recalled being given expired milk and slop-like meals, that made some people sick. "Sometimes the most difficult things, like when they giving you meat — the meat stink. So I was thinking why should somebody eat that kind of food? That food stink," Iyal said. "When I compare from what I see here in Canada to the United States I see far, far different from that because … all of us was complaining. We had a guy that he was deported back, he every day fight with the prison officers, every day because of the food. "I can say they treated me with respect, with honour, with care, because we came here for protection and they wanted to protect us." Jennifer Elzea, a spokesperson for U.S. Immigration and Customs Enforcement, pointed CBC News to a set of food standards detention centres are to abide by. The policy says meals must be nutritionally balanced and detainees should be protected from illness by adequate food service training. Zurekaneni Issah Adam was detained in the United States for about 15 months in Arizona where he says was fed small plates of mushy potatoes, rice and once a month — chicken. "I don't think it's very good for a human being in a country like the United States where there is the human rights to give a kind of person those food." 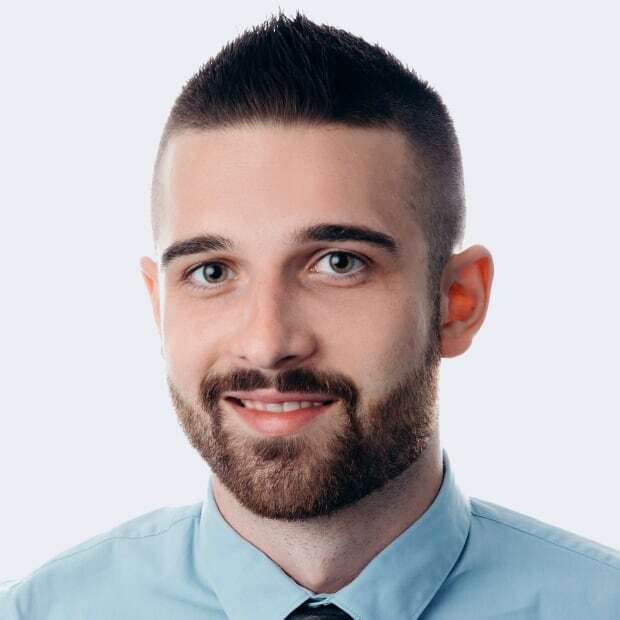 He noticed the difference in treatment when he was taken to be processed in Emerson — he got some bread and juice and was in and out of the CBSA office quickly. The documents obtained by CBC also shed light on another issue — how border guards have been told to field calls from members of the public. The documents say members of the public started calling points of entry in southern Manitoba to voice their frustration with Canadian policies on asylum seekers. Border guards were told to keep their composure and warned to resist the urge to set the record straight even if the person calling had false or misleading information. "Start by thanking the caller for taking the time to ask their question. Let them know that you value their opinion and appreciate their concerns. Courtesy sets the tone for the rest of the conversation, and even if it is not reciprocated, displaying professionalism shows the caller that you take them seriously," reads an instruction sheet for CBSA staff.